www.carneyproperties.com – A Family of Companies, Servicing all Aspects of Home Buying! 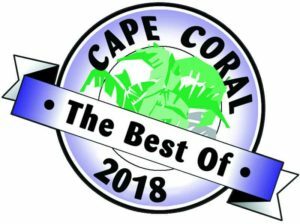 Voted 2018's Best Cape Coral Builder! Thank you! We are truly honored! Coming soon... 4/2/3 Pool Home on freshwater canal. For almost 20 years, Carney Properties has been exceeding customer expectations with integrity, service, accountability, and better than new homes! We pride ourselves on affording clients the same level of red carpet service regardless of price point. Our diverse inventory of exclusive listings caters to the most discerning of buyers seeking quality and value. On and off market pricing, plus an award-winning construction division, present enviable options. Visit our model home at 4225 Chiquita Blvd South, Cape Coral, where state-of-the-art amenities, best in market materials and attention to detail showcase convenience, comfort and a wow factor. Our Staff is comprehensive, always evolving, and ready to exceed your real estate expectations! John, Finally grilled yesterday for the first time in my new outdoor kitchen!! Looks great and we are very happy! Thx for your help. I truly appreciate it. Scott did a great job!! I realize you only hear from your customers when something needs to be repaired or serviced so I wanted to take this opportunity to write and compliment you on the prompt manner in which you took care of the two recent problems I encountered in my Carney renovated home. Although well over a year had passed since I purchased one of your homes, you reimbursed me for the pool light transformer I had to replace which was inadvertently undersized and also had one of your service people install. I couldn’t be happier and am very glad Carney did my renovation. The personal ownership and attention to detail on their projects are greatly appreciated. I wanted to let you know how pleased Karen and I are with the remodel project that your team completed for us. Without fail, every visitor to our home has been impressed!